The Landfall Foundation’s Annual Art Show and Sale will be held Septenber 28 – 30 at the Dye Club House. Hours will be Friday 10am – 6pm, Saturday 10am – 8pm and Sunday 10am – 4pm. 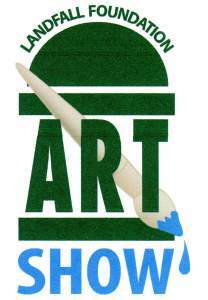 Area artists are invited to submit their work. Awards in all categories will be presented prior to the show’s opening. Cast your vote for your favorite art piece. A variety of workshops will be offered for ages 6 and up. 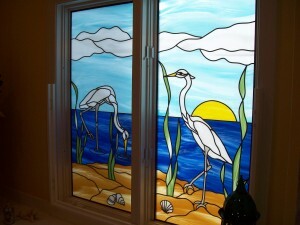 Go to www.Landfallfoundation.org 25% of the proceeds of art sales will go to the Landfall Foundation. Admission is free so come out and enjoy the show. 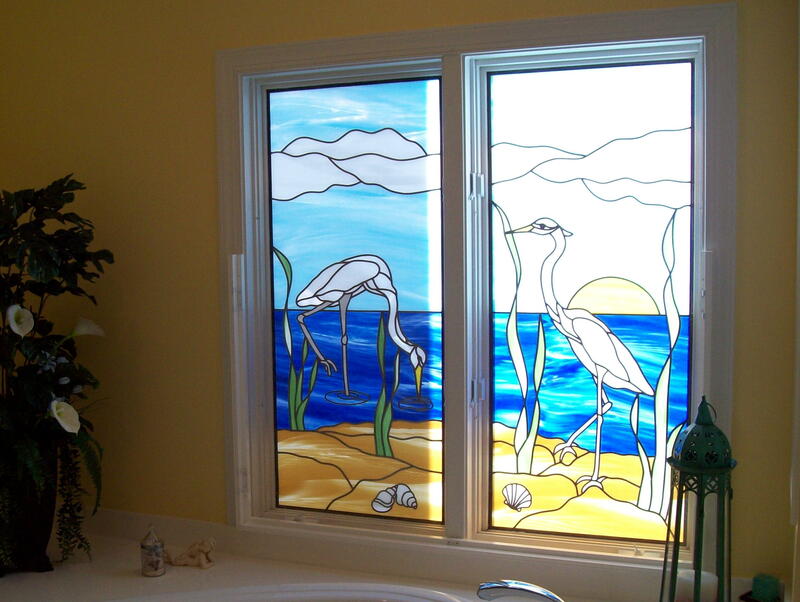 Our friends and neighbor Mr. & Mrs. Miller, residing on Arboretum Drive had a great idea for a bathroom window for privacy. Thanks to local artist Niki Hildebrand with her talents with stained glass created these amazing window panels that are custom fitted for each window. She also can do many other options with stains glass. Below is information about the artist, feel free to contact her. Niki graduated from the London Institute, Chelsea College of Art and Design and then from the Rhode Island School of Design in Providence. 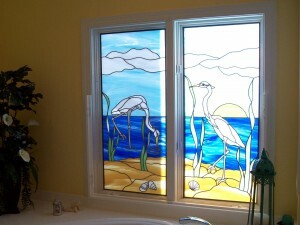 She currently is associated with the Cameron Art Museum and Coastal Designer Glass Studios. before coming to Wilmington. She has exhibited her work and sold in England, Ireland, Sweden, New Zealand and the United States. “My love for line and shape is evident in the work, and I express these through the versatile use of light and glass. My creative process relies on a constant need to make notes and drawings; some of these drawings later become the ideas for my paintings and stained glass. I gather inspiration from the beauty of life in our coastal surroundings as well as in the human figure.